BIGFOOT DAYS 2011, Willow Creek, CA. 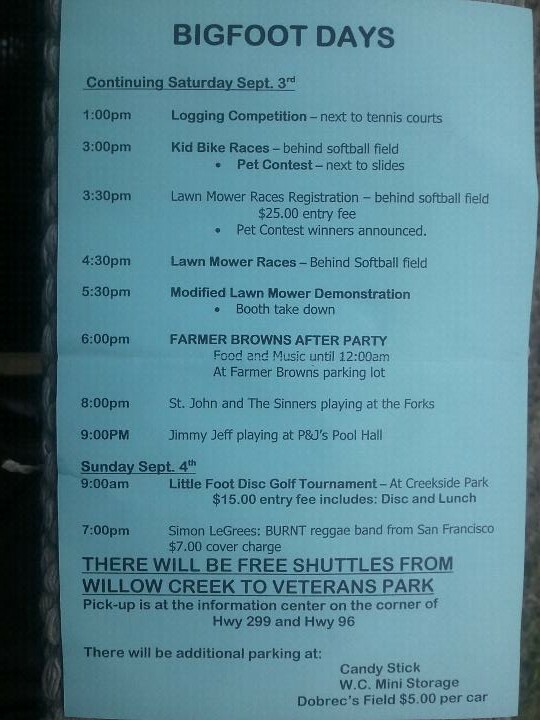 Labor Day Weekend........... 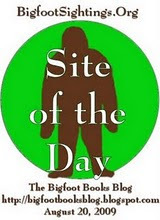 Angry Bigfoot Reports! Me ANGRY BIGFOOT. Me still write blog. Hu-man leave. He in woods, pretend to be Angry Bigfoot. Me sit here in bookstore and eat his cookies. Me also read book. In fact, Me learn a little more how to write and read Hu-man words. It fun. Not too hard. You hu-man think you special, but you not. Bear be smarter. 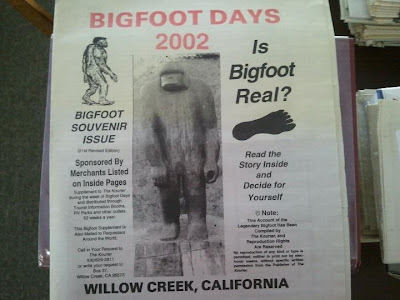 Willow Creek hu-man Commerce Chamber ask me to put up blog about thing called BIGFOOT DAYS. 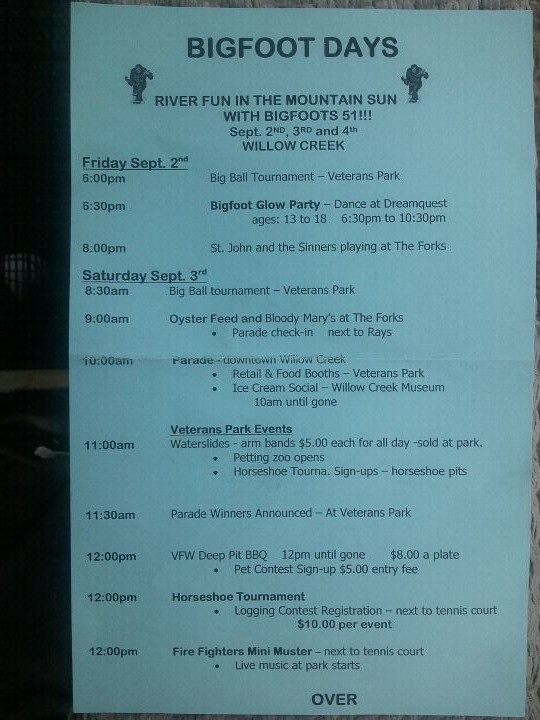 It happen this weekend. 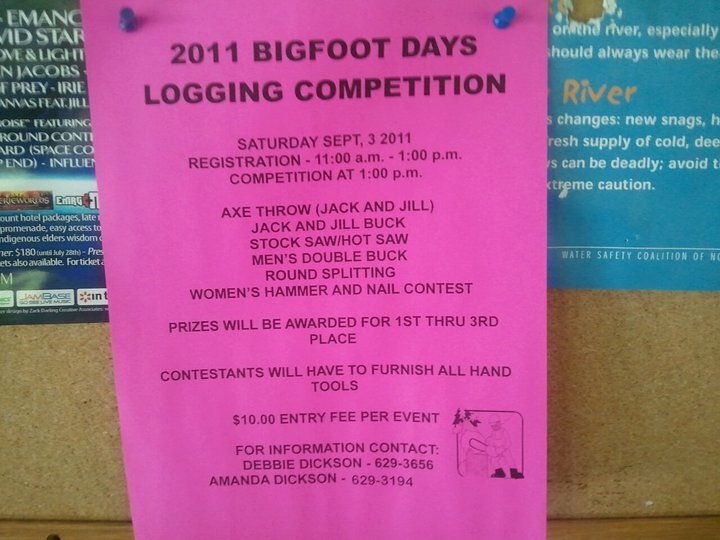 That is on hu-man calendar September 3 and 4. They give me food. Me take. 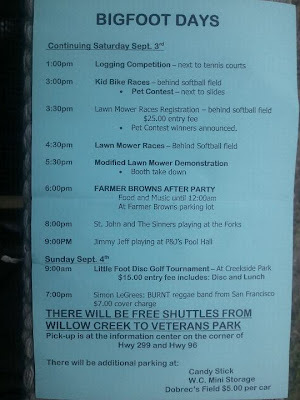 Me also hear fun happen on Friday night, including hu-man Steve going to bar and drinking beer and listen to son of Watergate burglar play at Forks Lounge. That right. But me stay here. They give me whole box of free doughnut to write this, so me sit here and eat, get jelly filling on hu-man keyboard. They also give me big box of jar of peanut butter. They know how to make Bigfoot come around. Me not care about call blasting. 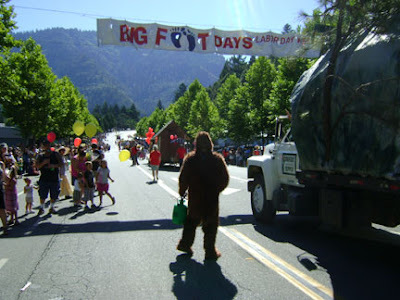 Bigfoot Days really just days hu-mans do silly thing. WHAT DIFFERENT? It same as every day me see! 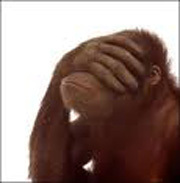 It named after me, but it be all about hu-man, maybe hu-man in gorilla suit. Click picture. It get bigger. Me read it. Me say click this. It get bigger. 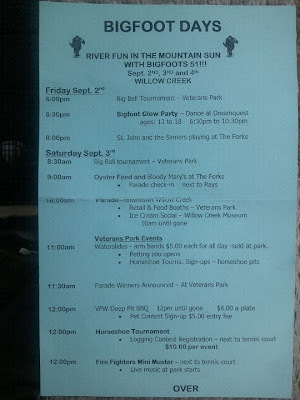 Me find this out today. Me say one more thing. 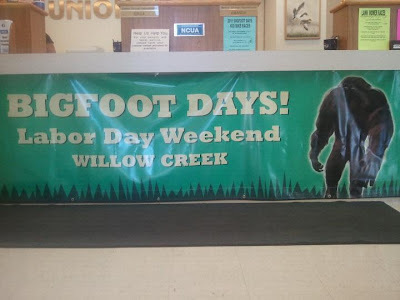 Happy Camp have BIGFOOT JAMBOREE. 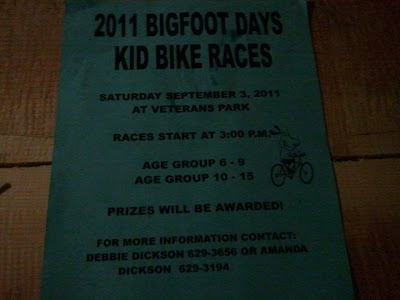 But they not real Bigfoot town. 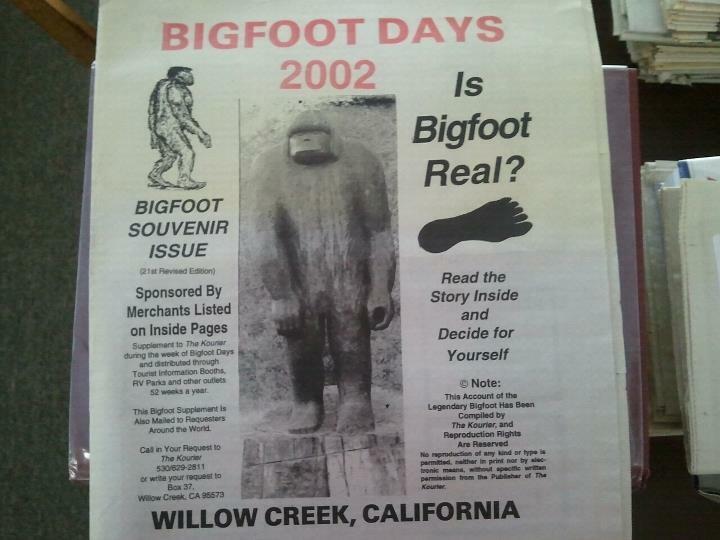 Me say they just steal idea and now try to build more Bigfoot statue and RV park than Willow Creek. It sad, hu-man. But me LAUGH. 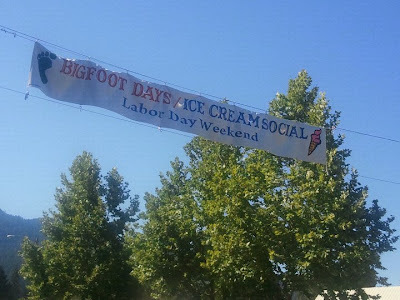 We Bigfoot sit on hill and laugh all day, and then we steal your beer and Indian Taco when you not looking. Me invite lady come visit me in book store. 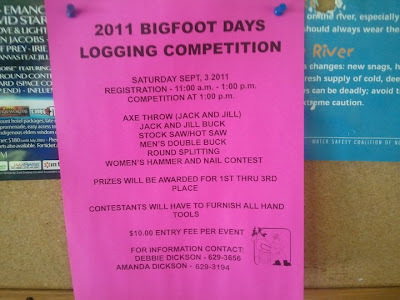 That make Bigfoot happy. Bring treat. OK, I am that Angry Human. Sorry. 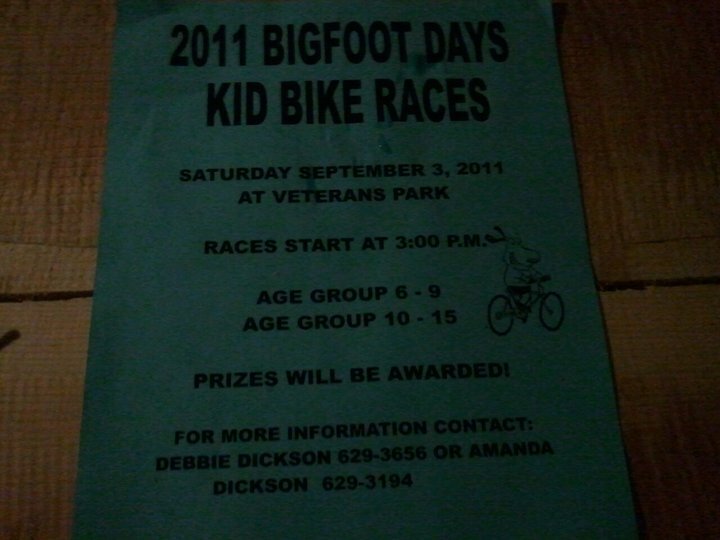 I just can't write on this stupid Bigfoot stuff anymore. There is too much vile gossip, competition and pettiness, too much violent ignorant slander, too much supposition and dogma. I will say one thing, though. Last time I said something about the "reward" in all of this. Well, there is ONE thing that I really have gotten out of this. It is getting to know some very, very cool people, all across the country. 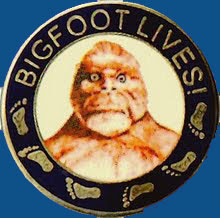 I know that the vast majority of people who are into the Bigfoot thing are super cool, very smart, excellent individuals. THANK YOU for that!!!! I just wish the bad apples out there didn't spoil the fun of it. OK, me have my say. GRRRRRRRRRRRRRRRRRR. Me back to woods. See ya.